Lightnin RV Rentals is not associated with RVshare. 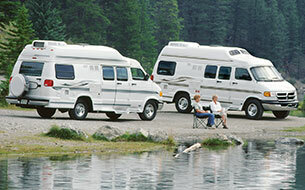 This page is simply a resource, providing more information on all RV rental options, including Lightnin RV Rentals. Want to explore the American south in style? If you’ve been considering touring the countryside in an RV, you’re onto something. Vacationing in an RV is a completely unique experience that just can’t be replicated by other means of travel. You get all the best parts of a road trip -- traveling at your own pace, choosing your own route, stopping whenever you like and going slowly enough to actually see the sights -- without the uncertainty that comes with relying on hotels, hostels or other temporary accommodations. You bring your lodging with you -- yes, including the kitchen sink! For first-time RVers, renting a rig is undoubtedly the way to go. Although RVing is one of the most affordable means of travel around, actually purchasing a camper of your own is a pretty hefty investment. Plus, RVs come in all shapes, sizes and styles -- do you and your family need a 40-foot, Class A motorhome with slideouts, or will a modest campervan do the job? 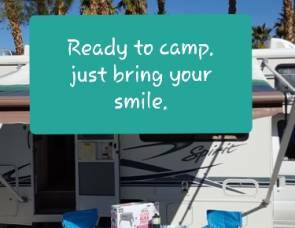 Renting your camper is the best way to feel out the lifestyle and see if it’s for you, and it also affords you the chance to find out exactly what kind of RV is right for you. And if you’re situated in the American south to start, you’ve got a lot of great destination options to try out your temporary new toy. From horse-drawn carriage rides in Charleston or St. Augustine to fly fishing in the Chattahoochee River, the south is anything but boring. You could drive down to celebrate Mardi Gras in New Orleans, only to head north to the Blue Ridge Parkway, where you can boondock your rig and hike in the ancient Appalachian mountains, completely unplugged. It’s all up to you. But first, you need an RV. 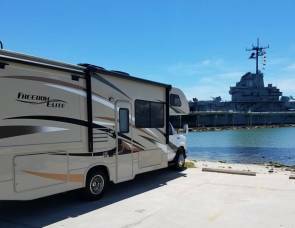 Thinking About Renting an RV From Lightnin RV Rentals? Lightnin RV Rentals is an RV rental dealership in the Atlanta, GA area -- specifically located in Lawrenceville. It’s centrally located no matter what southern attractions have caught your eye. 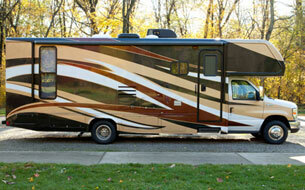 Lightnin RV Rentals offers a versatile fleet of rental vehicles, from large motorhomes with slides to pop-up campers. 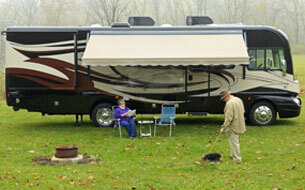 You’ll also find travel trailers, accessories like barbeque grills, bike racks and more. 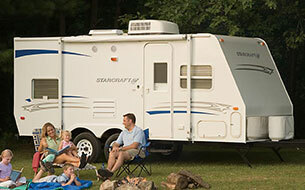 You can browse Lightnin RV Rentals’ Lawrenceville fleet of RVs online on their website. But if you’re willing to forego the sales lot, or if you’re further out from the Atlanta area, you could consider checking out the peer-to-peer RV rental market. If you’re familiar with services like Airbnb, the idea is pretty similar. 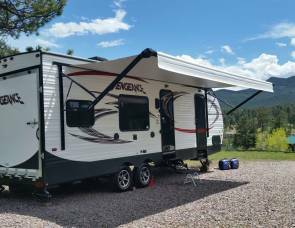 Private RV owners -- regular people, like you and me -- place their rigs for rent when they’re not in use, and would otherwise be collecting dust. 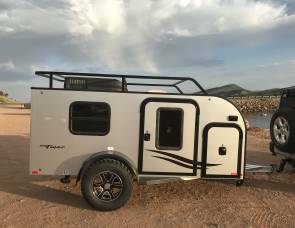 As with most services, private owners can afford to offer you their equipment at a fraction of the price you’d find at big box dealers like Lightnin RV Rentals. And since they’re actually lived in and loved, you can expect the RVs you find there will be well-kept and full of character. Before you rent a camper from Lightnin RV Rentals, you’ll probably want to check their reviews to see how other customers have characterized their experiences. “Rented a camper for the weekend. Easy to rent and return. Worked good all weekend. No issues. Would rent from them again.” -- Connie W.
“I rented an RV from Lightnin for a trip to Yellowstone and it was one of the best vacations I ever had. In terms of pricing it was a little costly to rent the RV but… they gave me a brief and very helpful tutorial (being a first time user) and then off I went with a fully prepped and cleaned RV. … On our return the checkout was very quick and my deposit and refund for miles not used was returned to me very promptly. Overall the experience was so enjoyable I am now planning to purchase my own travel trailer in the future.” -- Mitry D.
If you want to know more about others’ experience with Lightnin RV Rentals, it would be worthwhile to ask camping friends you might have in the Atlanta, GA area. You can also check out their website, as well as their Yelp and Facebook pages. While there are many other rental facilities available in this area of Georgia, Lightnin RV Rentals is fairly well-known, if expensive. That’s why the peer-to-peer market is such a great option -- you can get similar rentals for a fraction of the price! Once you’ve picked up your RV, you can easily drive to a number of fantastic southern attractions -- some of which are very close at hand, like the beautiful Sweetwater Creek State Park, right in the Atlanta metro area. No matter where your adventure lands you, don’t forget to take your time and enjoy the ride!